Featuring included services such as unlimited WIFI, video security, heat, hydro, water, and bike storage; our all-inclusive apartment in Ottawa provides a complete accommodation solution for students and professionals. Our all-inclusive apartment in Ottawa comes equipped with a full kitchen, 4-piece bathroom, 40" wall mounted flat screen, and a luxury wall bed. Conveniently located only two blocks from the University of Ottawa Campus, our apartment in Ottawa all inclusive is only a short walk to the By-Ward Market and close to many coffee shops, restaurants, corner stores and so much more! Affordable living when all of these amenities are included! 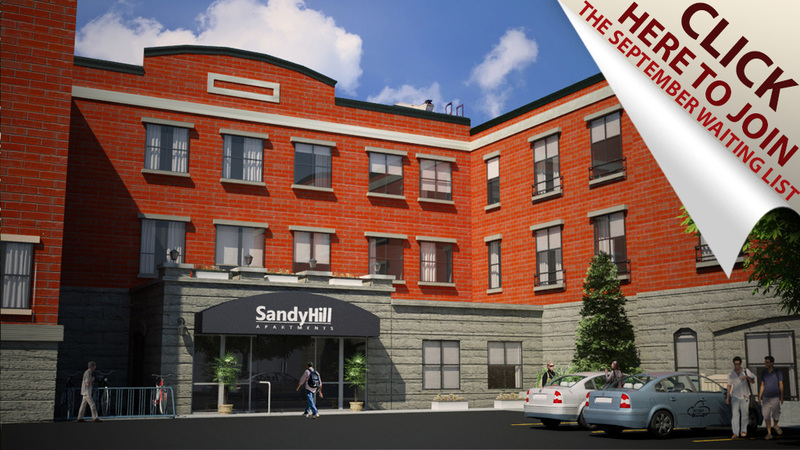 Sandy Hill Apartments – The latest in luxurious studio apartments, finally offered to students and young professionals in one of Ottawa's most sought after neighborhoods, Sandy Hill. Ottawa all-inclusive apartments are semi-furnished studio apartments, complete with high end finishes, are rented on an all-inclusive rent basis with a la carte services, such as VRTUCAR. They offer a one-of-a-kind Ottawa all-inclusive apartment experience that is conveniently located, safe, secure, of the highest quality - and excellent value!